When we lived in snowy Minnesota, our local public school planned two days of vacation into their calendar for February. I think it’s a good idea, since school starts feeling a little “old” this time of year. Unfortunately, I didn’t realize that it was a day off school, so I didn’t plan a break into our calendar. When my children realized that their neighborhood friends would be outside sledding and building snow forts that day, while they would be inside multiplying and diagramming sentences… well, “mutiny” might be the appropriate word! Last summer, when the days were sunny and your mood was bright, you made many ambitious plans for the school year. It’s in February that you realize that one son forgot to do an entire month’s worth of science experiments, or that you’ve not had the energy to memorize the poetry you’d planned, or that you haven’t done any art projects since… September. When I have things on my “to do” list that continually don’t get done, that forever get pushed to tomorrow’s list, or that are repeatedly forgotten because there aren’t enough hours in my day, it starts to wear on my brain. I’ll notice that I’ll awake with a start at 3:13 a.m., grab the hair on my husband’s arm and yell, “Oh, no! I completely forgot to turn in test scores to the school board last week!” The stress builds up in my subconscious brain. The alarm will go off in the morning, and I’ll pull the blankets over my head, wishing I were in Hawaii, far from anything even remotely related to homeschooling. May I recommend that you take an hour or so (with a stiff cup of coffee) to review your last-summer’s plans? Be ruthless. You’re not required to be a slave to plans. Maybe you planned too many things! Maybe, however, your plans were good but you just forgot a few points. While you’re enjoying your coffee and some peaceful music, tweak those plans and figure out how you can realistically get back on track. Face your fears head on, and you’ll probably discover that you’re not as messed up as you thought you were in the middle of the night. If you live in a cold-weather climate, it might have been some time since you were able to open the windows and air out the house. You’ve been pulling blankets out each night to snuggle in… there are socks hiding under all the couches… mud splatters are on the wall by the back door… mittens and boots are mixing together at the bottom of the stairs… toys aren’t put away in their proper homes. It must be winter! All the clutter can start to make your brain feel crowded. February will feel fresher if you’ll take an afternoon to declutter, to sort socks, to return books to the library, and to wipe the dust off the bathroom blinds. Then, review your plans for keeping your house looking fresh. Since I can’t do all of it myself, I have a chart for my older children (who can read) and a separate chart for my younger children (who need pictures). This is a good time to review the chores I’ve assigned and to remind my children how they can help serve our family. >> Check out our homemaking forms here. A friend from Alaska shared some ways children can get exercise when they’re cooped up indoors all winter. Can I tell you my best idea for a small house in winter? 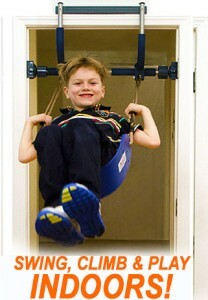 A pull-up bar! This spring we got 6 conduit clips from the hardware store (heavy-duty to support heavy pipe) and long screws. Calculating head room, we put 2 clips at the top of the door, 2 in the middle, and 2 down low. The bar is a fat wooden dowel cut wider than the door but sized to slide in and out of the conduit clips. The clips are screwed through the door trim (plain drywall won’t support your weight) and now everyone plays on the bar! Pull-ups, flips, upside-down hangs, swinging, chin-ups, etc. Even the smallest people can play on it when it is in the lowest setting. Put a small blanket or tablecloth over it to make a neat tent. Only one person on the bar at a time. If you have a busy hallway, you could have several of these. My boys would particularly love that! Note: The Gorilla Gym also looks like a good idea! The point is, your children are revolting because God designed our bodies to need fresh air and exercise. Even in Minnesota, the public school children have recess outdoors unless the temperature is ten below zero! 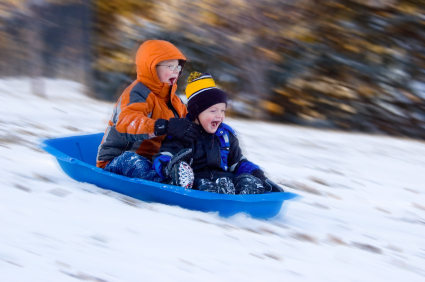 Equip your children with warm clothing, then send them outside or provide indoor play areas. Get those wiggles out! While your children are getting more wiggly, you’re feeling more busy. The daylight hours are short. I don’t know about you, but when it gets dark at suppertime yet I still have a lot of work to do, I turn on all the bright lights in the house and keep working! Of course I do! The problem is that I keep working… until 9 pm… or 10 pm… or 11 pm… or midnight. I might even brew a second pot of coffee to artificially keep up my energy. I might also forget to enforce a good bedtime for the kids, suddenly realizing at 10:00 that the reason my five-year-old is so crabby is that he’s tired. In the summer, when the days are long, I tend to relax more with my family in the evenings. We’ll sit outside by the fire pit and roast s’mores. We’ll swat mosquitoes and discuss our dreams for the future. We’ll play a few card games together, or we’ll cheer for the little ones who are learning to do somersaults on the lawn. 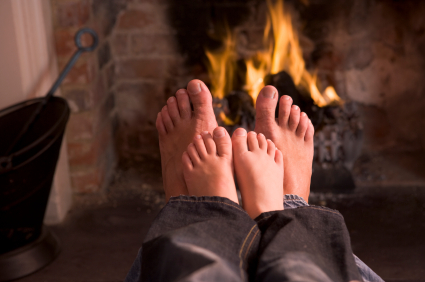 How can we remember to rest in the winter? Can we find a good read-aloud book to enjoy together in the evening? Can we light a few candles and darken some lights, to help our brains remember that it’s soon time for bed? Can we play some soft music rather than having a blaring TV in the background? Can we pop some popcorn and play a few rounds of Boggle together? Can we have a ten-minute tickling fest? We can beat the winter blues when we remember our priorities for life. It’s okay to take a break! It’s okay to rest! (Yes, you have my permission.) It’s okay to take a day to evaluate your course and adjust your sails. It’s okay to enjoy your family and have some fun. Check out the work of a group of our teenage students, who just published their first issue of an eMagazine called Unconventional — available free as a PDF by clicking here. 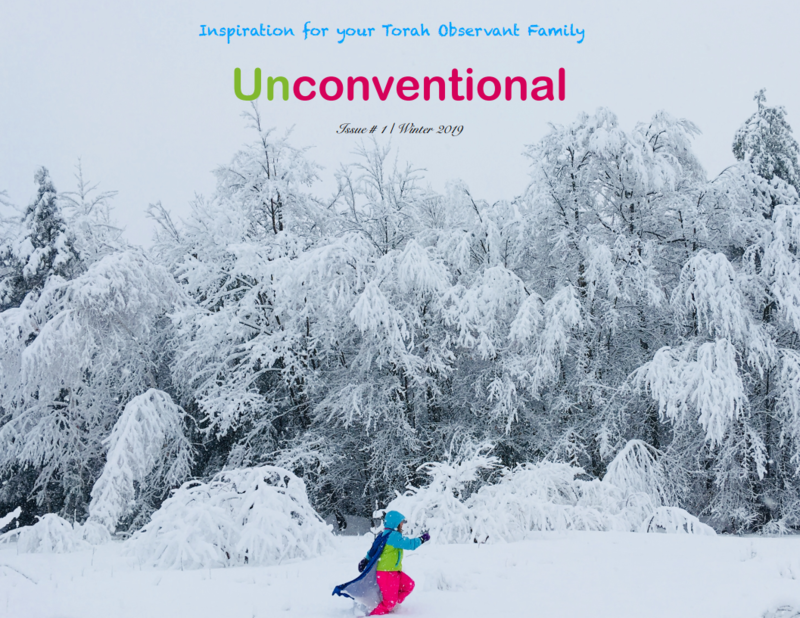 Their goal is to encourage and inspire other Torah Observant families in their walk. Please email them and encourage them in this fantastic effort! I have the exact opposite problem that Anne describes here! On the days when it is cold here in central Texas (below 50, LOL), we gather around and read, catch up on indoor school projects etc, and play games. Our trouble is staying motivated in the spring when everything is coming alive. We live in the country so there is always something calling us away from books in the spring, so nature study tends to “take over”. Same goes for chores–who wants to do chores when one could be outdoors. In the summer, bedtime tends to get later, as it is still light at nearly 9 pm. I spend December going over the past year and planning the new, so we automatically have a fresh new start for the coldest months of the year. We homeschool year round as well, so we take breaks when we want to. I think Anne’s advice on remembering our priorities is pertinent no matter what time of the year it is. We all have different circumstances in our lives that cause us to get off track and less motivated.